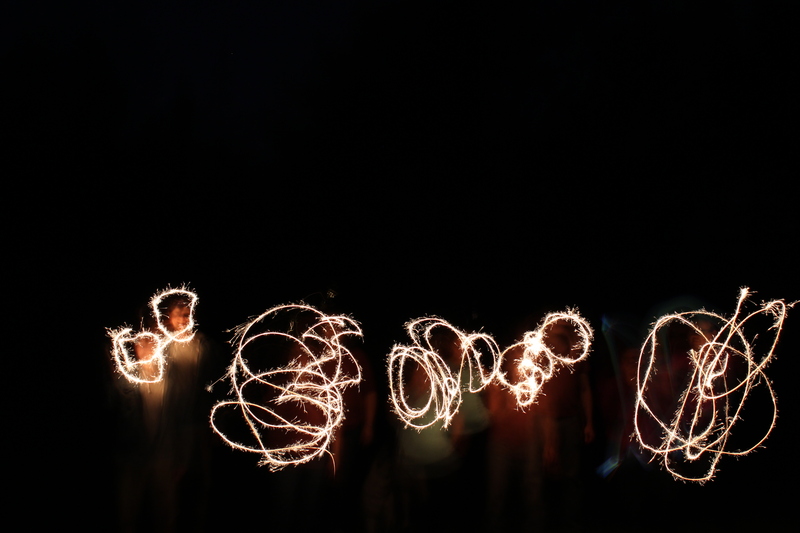 Let’s start with Sparkler pictures! Looking forward to encouraging each other and finally completing some projects that were pinned months ago! This week I revisited the sparkler pictures, which I still enjoy far too much! 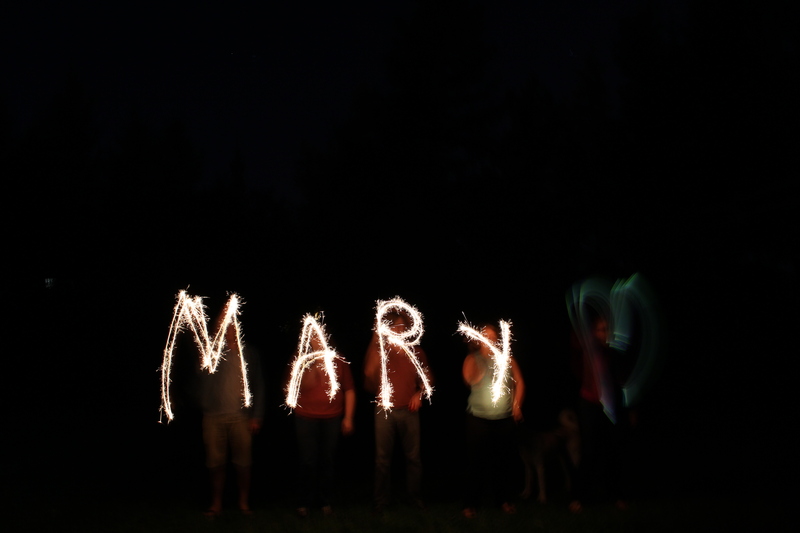 The toughest part about this project may be finding sparklers (thanks, Walmart!). Just set your camera to a Manual setting. Best to use a tripod, but not necessary. Set the f/stop to f5.6. Set shutter speed to 4″ or slower (make the shutter speed faster for more defined words). Set white balance to Tungsten, and make sure to write the letters backwards!